Curb appeal is the notion of the impression that your home makes when seen from the curb. Curb appeal has lots of value in that the more curb appeal your home has, the more it stands out from other houses in the neighborhood. This in turn makes your home more attractive to potential buyers if and when you decide to put your home on the market. Homes that distinguish themselves make a good first impression, and may convince prospective buyers to do more research on your home. So how does a fence boost curb appeal? For one, it adds to the aesthetic of the home. You can’t help but notice a beautiful fence from the curb, because it’s right there. 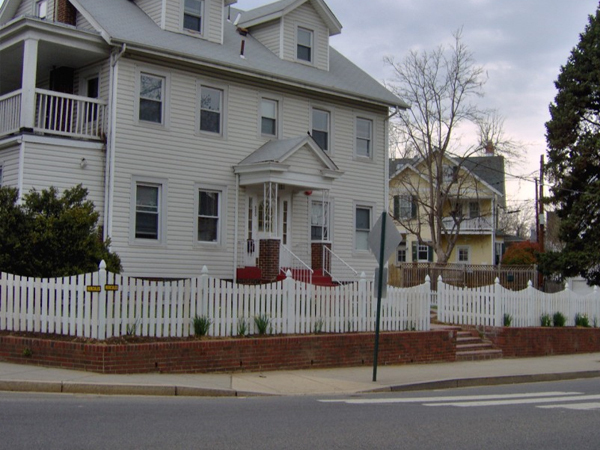 Whether it’s a picket fence or an ornate iron fence, it will certainly add to the aesthetic of your home. Fences also imply a more secure, private home, two qualities in which many buyers are interested. Adding a fence to your property is one of the easiest things you can do to increase your homes curb appeal. This entry was posted on Thursday, January 23rd, 2014 at 7:22 pm. Both comments and pings are currently closed.